Our annual fall indoor mini-fest! Cervantes' & The Other Side - Dual Venue Show! Plus: performances, live painting, visuals, food & craft vending, outdoor patio and more. 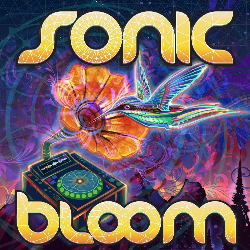 As always, SONIC BLOOM is partnering with Conscious Alliance to bring you an "Art That Feeds" Food and Clothing Drive for those in need. The first patrons who donate 20 non-perishable food items or a suggested monetary donation will receive a FREE limited-edition screen print poster by an artist TBA. VOLUNTEER - Work in exchange for a ticket for the festival! Join us for this community building event hosted by Permaculture Action Network each year and throw down your skills, energy, plants, and labor to make the local community farm a thriving, productive model of the new just economy we’re stepping into. Details on next year's permaculture Action Day are TBA in the spring.